This book is centred on the legend of Padmini, the medieval Rajput queen widely believed to have been pursued by Alauddin Khalji, Sultan of Delhi. Sreenivasan investigates the many narratives that exist about this heroic queens legend in India, ranging from Sufi mystical romances in the sixteenth century to nationalist histories in the late nineteenth century. The book explores the manner in which early modern regional elites, caste groups, and mystical and monastic communities shaped their distinctive versions of past times through the repeated refashioning of this legend. It then traces the appropriations of these narrations by colonial administrators and nationalist intellectuals for varying political ends. In the process, the author successfully shows us not only how particular narratives about virtuous women changed and circulated across the communities of South Asia, but also the social and political investments in discourses of gender and history that occurred simultaneously. This book will interest historians of memory, gender, community, culture, and history-writing in early modern and modern South Asia. In illustrating how significant legends about the past emerged out of particular pre-colonial repositories of 'tradition, the book also contributes to current debates on the nature of colonial transitions and the nature of pre-colonial historical consciousness. Ramya Sreenivasan received her early training in the study of literature, and obtained her Ph.D. from Jawaharlal Nehru University, New Delhi. She is Assistant Professor of History at the University at Buffalo, State University of New York. Padmini believed to have been the raj put queen of Mewar (in modern Rajasthan) in the early fourteenth century, has become one of the most familiar figures from the medieval past in modern India. To outline the shape of the story as it is largely remembered today: she was so renowned for her beauty that Alauddin Khalji, the Sultan of Delhi, was determined to obtain her for himself. Unable at first to conquer the formidable fortress of Chitor ruled by Padmini's husband, Alauddin offered to withdraw his troops if he could but catch a glimpse of her. In fact, as it happened, he could only gaze at her reflected image because the Rajput queen would not appear before a stranger. Entranced by her beauty, and even more determined to obtain her, the sultan tricked her husband into captivity. The Rajputs plotted their king's release by pretending to surrender the queen; a procession of palanquins reached the sultan's camp, and hidden Rajput soldiers sprang out and freed their king. An enraged Alauddin laid siege again to the fortress. Faced with certain defeat, the Rajput women led by Padmini immolated themselves. Their men were killed in a final battle as the sultan conquered the mighty kingdom of Chitor. In the history of India, Padmini of Chittor holds a very prominent position. She was a perfect model of ideal Indian womanhood. The values cherished by her were threatened by Alauddin Khilji, the mighty Afghan king of Delhi. A lesser woman would not have been able to face Alauddin. But Padmini was not an ordinary woman. She faced her problems with exceptional courage, a living example of virtuous womanhood. The comic book thus claims that Padmini was a historical figure, that she represents ideal Indian womanhood rather than merely Rajput norms, and that these ideal Indian values were threatened by the Afghan emperor of Delhi. Such assertions articulate the widespread assumption that conflict between religious communities in India was pervasive over the last millennium, and that Hindu women were peculiarly vulnerable in such conflict. In the popular domain within which such comic books circulate, subcontinental history from the eleventh century onwards is invariably perceived as perennial resistance by patriotic Hindus against successive Muslim invasions and conquests. Over the last two decades, Hindu majoritarian organizations in India have deployed such narratives of their alleged humiliation by Muslims in medieval times, to organize increasingly efficient pogroms against the country's sizeable Muslim minority. This has at times become an avenue to capturing political power. Such groups have also sought to endow several popular narratives with the authority of historical discourse by introducing them into school textbooks: both Hindu majoritarian and regional chauvinist groups have attacked the methods and findings of history as a discipline. Historians, in turn, have begun to respond by subjecting the key events and characters of this majoritarian narrative to renewed scrutiny. In particular, they have turned their attention to the relationship between a historical event and the multiple, often competing, perspectives on it that emerged as memory in later centuries; and to the relationship between historiographic traditions and popular memory. This book is a contribution to that collective project. Multiple narratives of Padmini of Chitor first emerged in the sixteenth century, and survived over the next four centuries. The first known narrative is Malik Muhammad Jayasi's Padmavat (1540) in Avadhi (now classified as a dialect of Hindi in central Uttar Pradesh). Heroic romances-in which princes embarked on dangerous quests to woo and wed princesses of fabled beauty and wealth-were common to many literary traditions in medieval North India. The Padmavat was a Sufi mystical adaptation of this formula and inspired at least a dozen translations and adaptations into Persian and Urdu between the sixteenth and twentieth centuries." In a second and parallel version, narratives of Pad mini were produced in more avowedly historical genres in the Rajput chiefdoms of Raj as than between the sixteenth and eighteenth centuries, with the first known version being composed in 1589. We do not know if the Padmavat circulated widely in this region, about 600 miles to the west of Avadh. What is clear is that the narratives in Rajasthan, patronized by local Rajput elites, diverged sharply from Jayasi's account. 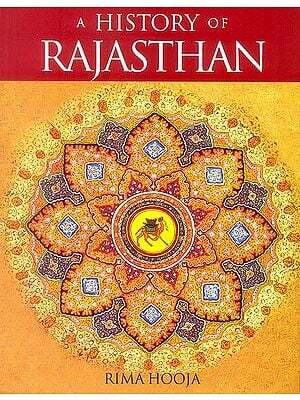 The focus in Rajasthan was not on courting and marrying the queen-an emphasis that had been central to Jayasi's Sufi ethic. Instead, these somewhat later narratives of Padmini focused on the exemplary honor of the Rajputs in defending their queen and kingdom against Sultan Alauddin Khalji. In the early nineteenth century James Tod, Resident of the East India Company to the Rajput States, compiled his account of the region's history based on the oral and textual traditions of Charans, Bhats, and Jains-these being the chroniclers, genealogists, and scholars to the Rajput chiefs. Tod's Annals and Antiquities of Rajasthan (1829-32, henceforth Annals) recast pre-colonial Rajput traditions within a colonial perspective which shaped his retelling of the Padmini story as well. Subsequently, in a fourth major revision, the reception of the Annals in late-nineteenth-century Bengal produced at least a dozen Bengali versions, mainly from the new middle class, the bhadra/ok. These Bengali narratives reinterpreted the legend yet again to celebrate a Hindu queen who had immolated herself to defend her chastity against a lustful, treacherous Muslim invader. For the Bengali bhadralok, the legend came to exemplify a reinterpretation of the emerging nation's medieval history in which "patriotic Hindu" had resisted "Muslim invader." Other nineteenth-century versions of the Padmini legend, however, did not conform to the template evolved by the Bengali bhadralok. Urdu versions continued to adhere to the Padmavat tradition until the early twentieth century, as they retold Padmini's story within the received conventions of Persian and Urdu love poetry. This book traces the trajectories of these multiple narrative traditions of Pad mini, and locates them within the historical moments in which they were produced and circulated. Over the last five centuries, a variety of Pad mini legends emerged in regional polities, serving particular local groups to repeatedly evoke a remembered past. The nature of these evocations was tied to the specific historical contexts in which they occurred. Further, as narratives of a heroic queen, these mutations of the Padmini legend shed light on histories of gender relations among the social groups involved. Authors and patrons-of narratives of a virtuous queen confronting an enemy king-repeatedly used them to articulate the gendered norms of particular elites in a range of disparate political formations-from a seventeenth-century Raj put kingdom at the margins of an imperial order to emerging middle-class (and upper-caste) nationalism in colonial Bengal. Fourteenth-century accounts that described Alauddin Khalji's conquest of Chit or did not mention Padmini at all. The absence of any contemporaneous evidence, material or literary, strongly suggests that the figure of the queen became associated only later with memories of the Delhi sultan's conquest of Chitor, And yet, between the sixteenth and twentieth centuries, in several regions and languages, the legend was repeatedly remembered and retold within particular communities, coloured by their own concerns of the moment. Tracing this trajectory helps to illuminate the construction and transmission of historical memory and literary traditions about the past in this later period, rather than to establish the precise nature of the campaigns of a Delhi sultan or his siege of Chi tor in the early fourteenth century. Historical scholarship on memory has grown dramatically in recent years, partly as significant collectivities have challenged dominant nation-building projects and their nationalist historiographies in various parts of the world, and partly under the stimulus of postmodern critiques of the historical discipline. In South Asia the emergence of Tamil separatism in Sri Lanka in the 19805 provided the context for rich explorations of remembered Sinhala and Tamil pasts.? In India the impetus was provided by the movement beginning in the late 1980s for a Rama temple and culminating in the destruction of a sixteenth-century mosque in the town of Ayodhya, now asserted to have been constructed on the precise site of the Hindu god's birth. Among the multiple arguments that proponents of the temple used were appeals to the religious sentiment of Hindus; if people believed that the god Rama was born at the site, then historians' refutations based on archaeological evidence were redundant The success of the political party leading the temple movement in subsequent elections and its pronounced majoritarian tilt led to organized assaults on historical scholarship and, increasingly, attacks on individual historians, along with attempts to introduce a glorious ancient past in school history textbooks'? "The study becomes one of observing the processes by which the intervening stages [of the creation of narratives around the event] are established and how these influence the eventual perception of the event." As Thapar points out, contextualizing each such narrative historically requires identifying "the ideology which it represented" and the dominant groups involved in its production and reception." Thapar's work also retains the crucial distinction between what actually happened, as ascertained by archaeologists from recovered material remains, and subsequent narratives of the event. 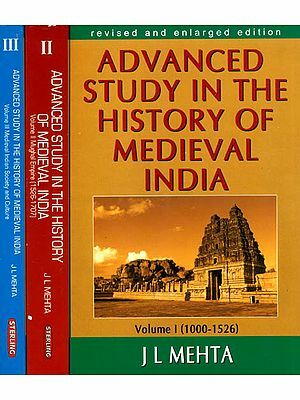 10 Simultaneously, historians of medieval India have responded to majoritarian pressures, as well as to the methods and insights of the new social and cultural history, by complicating virtually all our earlier assumptions about medieval history. This new scholarship has dramatically overhauled our understanding of formations of religious community and the politics of religious affiliation in this period." Diamond Pocket Books Pvt. Ltd.